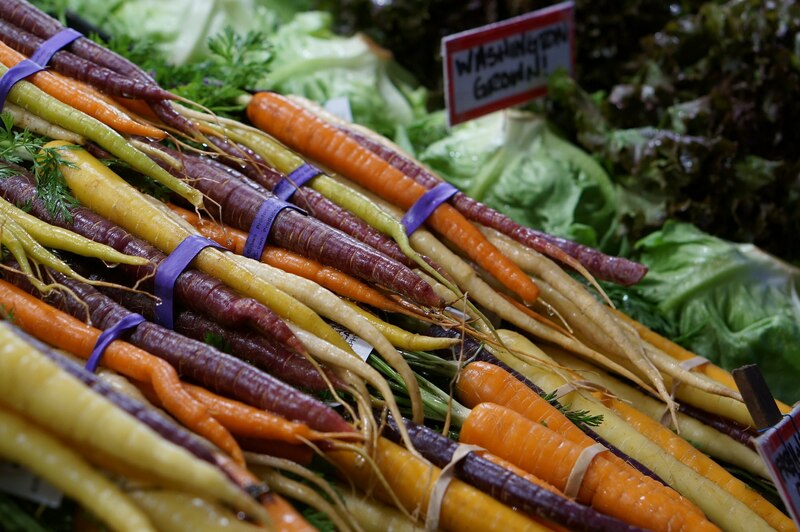 Pike’s Place is one of the United State’s oldest markets– and one of the best. 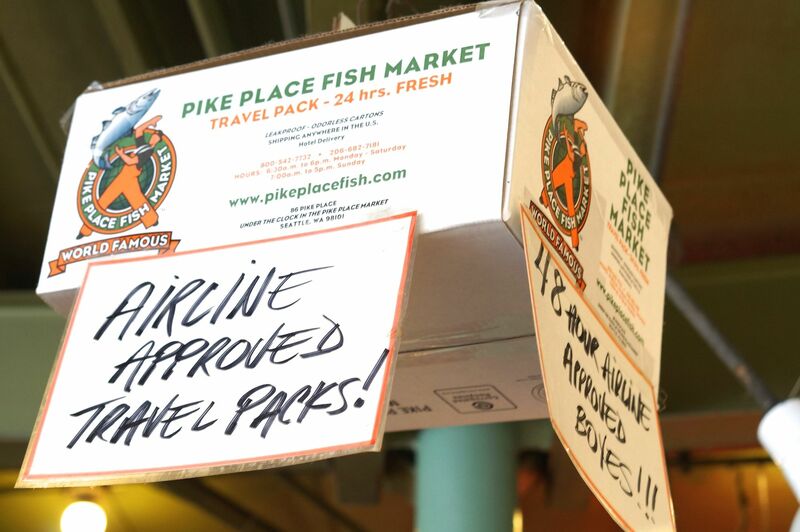 Pike Place opened in 1907 and overlooks the bay, so you’ll have water views from the back of the market. 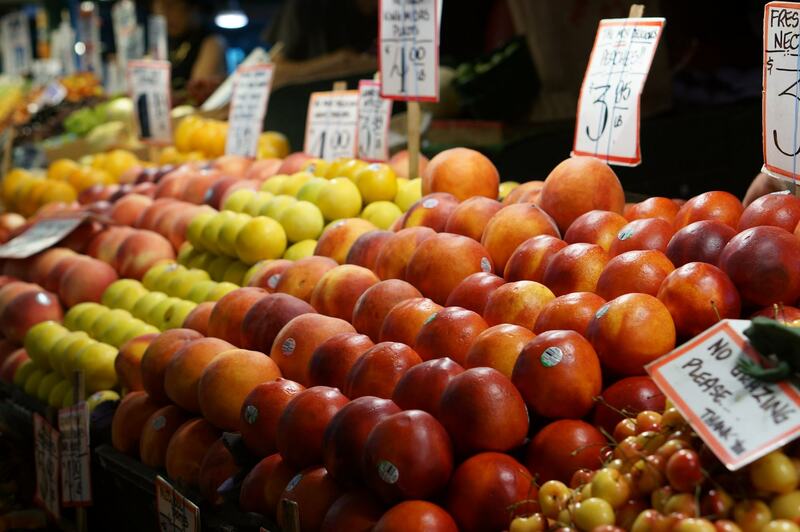 According to Wikipedia, more than 10 million people visit Pike Place Market annually, making it the 33rd most popular tourist attraction in the world. 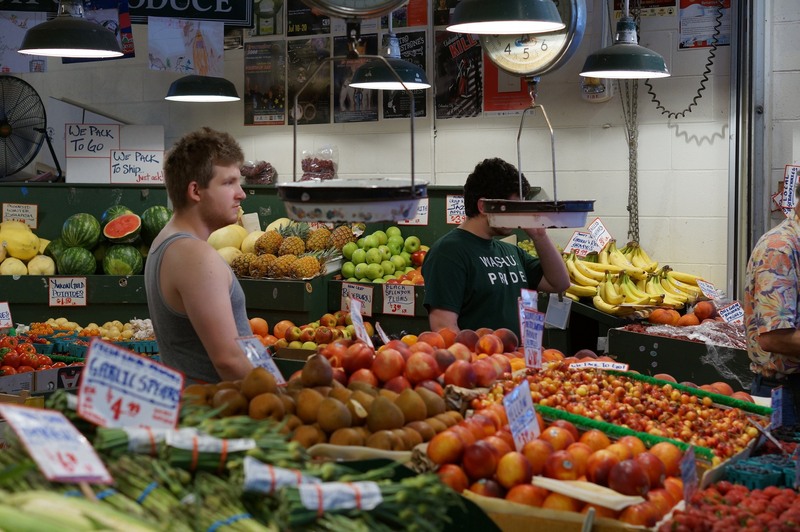 The gigantic market is multi-level, with covered arcades and winding paths. 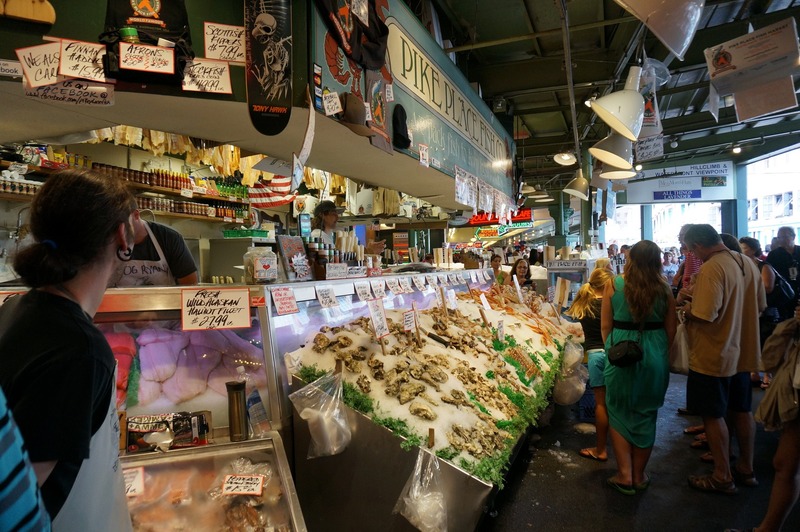 Pike Place is divided into different sections, including a fish market, farmers market and produce stall, craft market and collectibles. 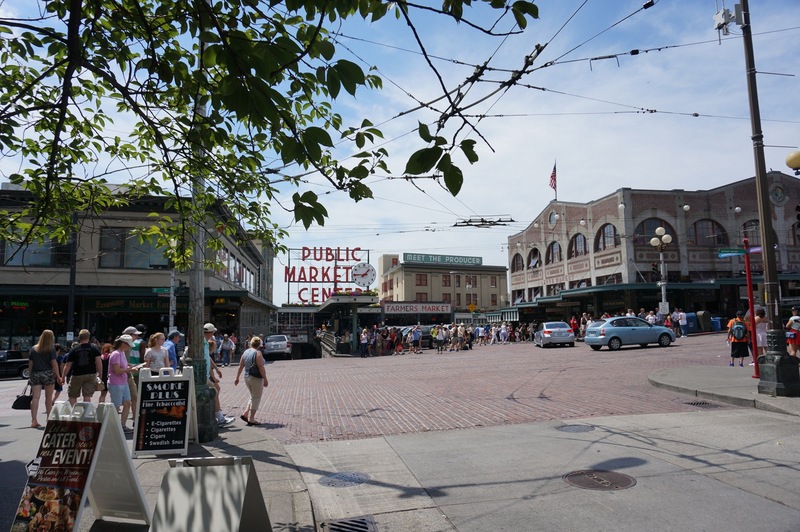 When I walked through Pike Place on a recent visit to Seattle, I was laser focused on looking for souvenirs to bring home. Sure the fresh crab legs and smoked salmon were tempting, but could they be safely (and non-odorously) be brought home on an airplane? 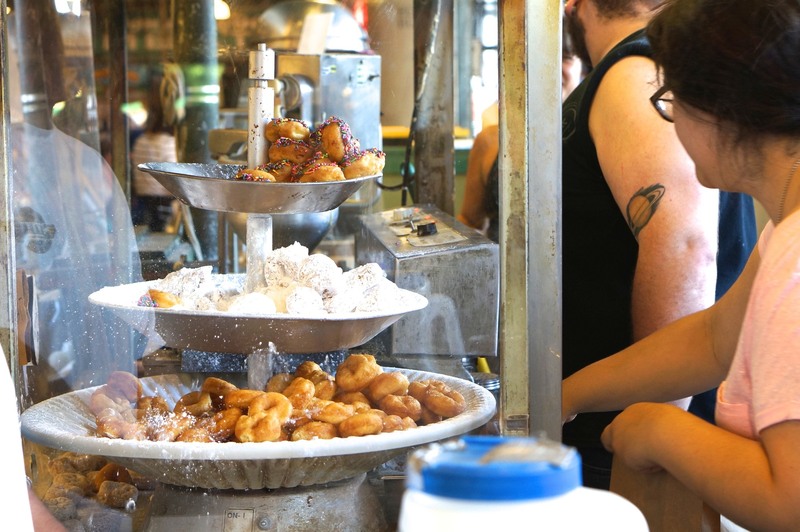 While I did visit the craft and collectible sections, nothing there grabbed me as much as the edible souvenirs Pike Place market has to offer. The iconic sign and entrance to Pike Place market along Seattle’s waterfront. 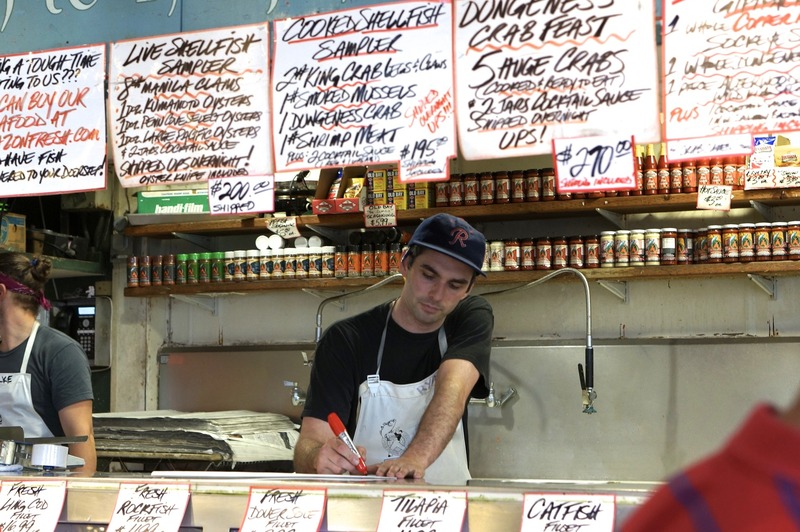 When you first enter Pike Place market, you’ll see the big spreads of seafood run by salty but charming vendors. 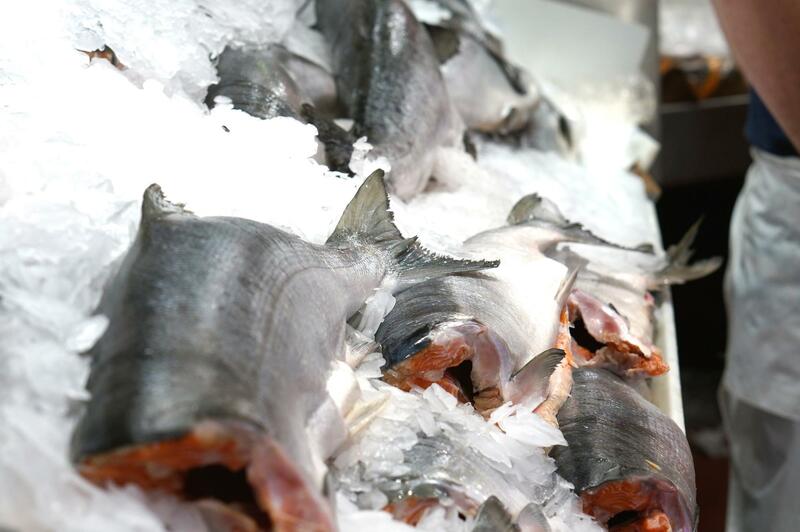 Even if you have no interest in bringing home some souvenir salmon or crab, you have to stay for the “show.” Watch as customers place their orders and vendors make a production of tossing, catching and wrapping the fish. 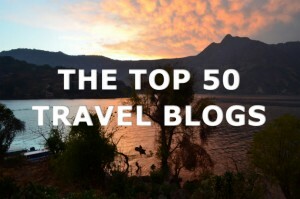 This portion of the market can get very crowded, so try to avoid peak times. 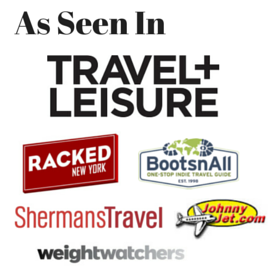 Interestingly, it’s not just the seafood vendors who provide secure packing (and shipping in case you don’t want to haul it on the plane)– produce vendors will also secure your edible souvenirs for you. 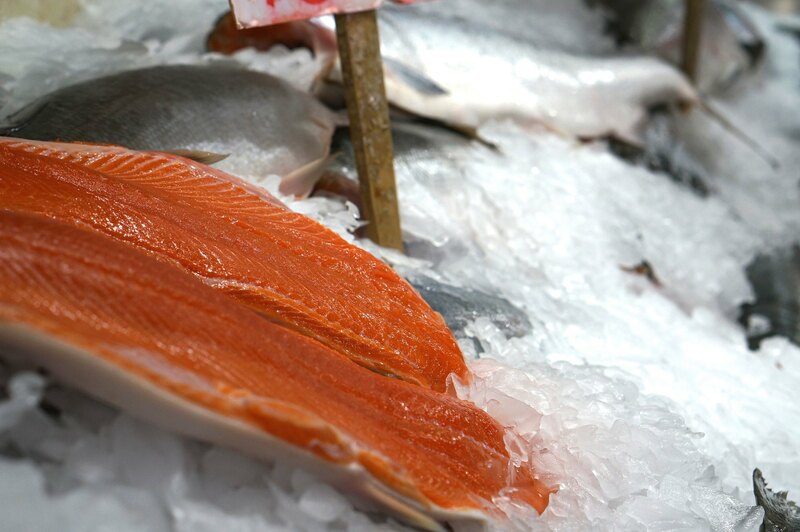 Wild caught pacific northwest salmon is the only salmon I really eat. 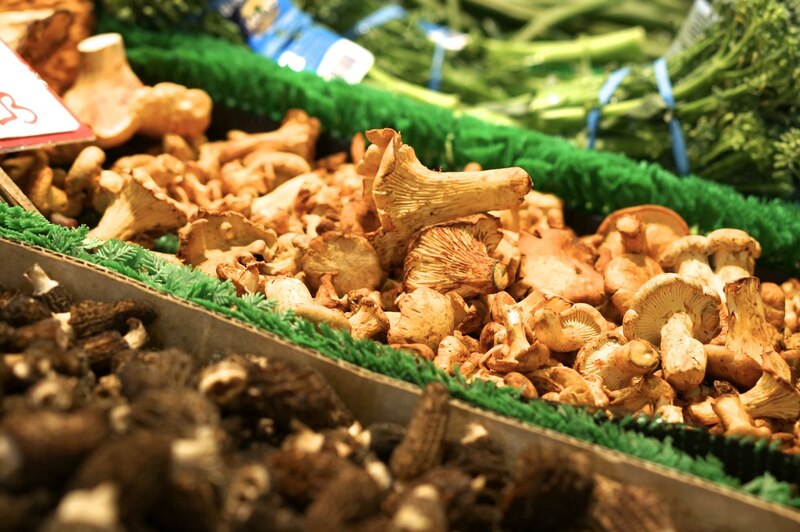 You won’t find it any fresher than here, where it’s just pulled out of the ocean. 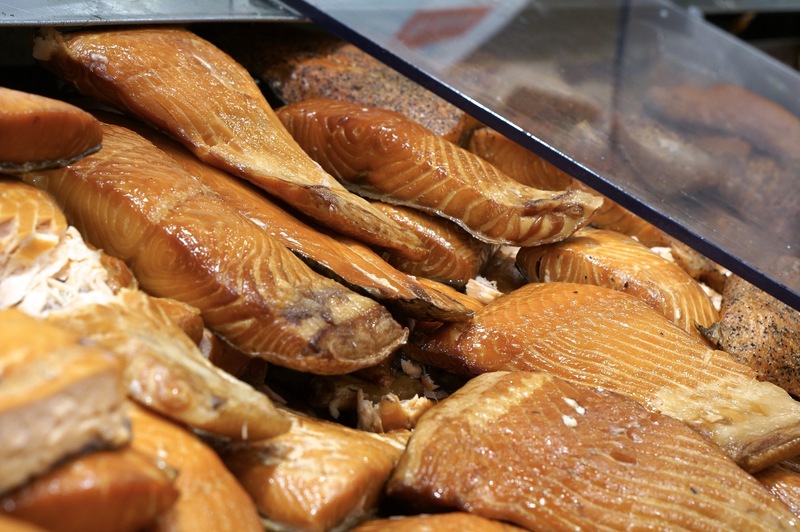 While buying preboxed smoked salmon is the sensible thing to do, you might also consider the freshly smoked salmon (try a sample and you’ll be hooked). Freshly smoked salmon at Pike Place market. It’s impossible to try a sample and not go home with some. 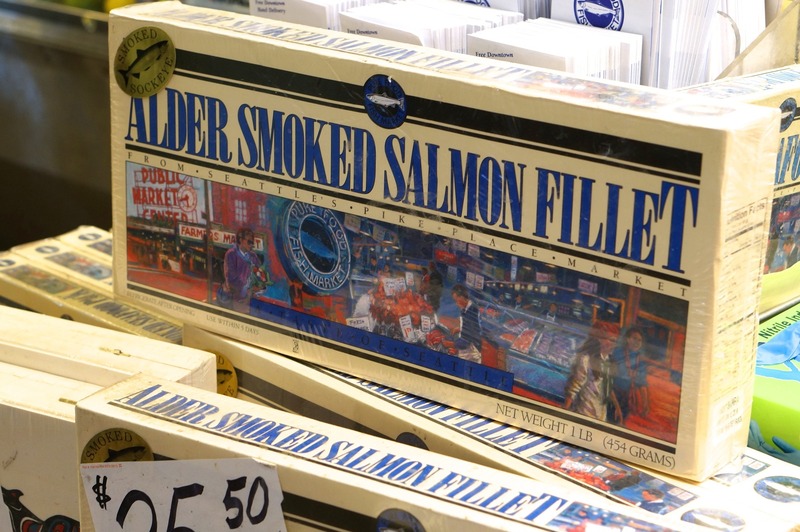 You’ll find every possible variety of packaged smoked salmon available (including multi variety gift packs). These are perfect for gifting, or for the least amount of hassle if you don’t want to deal with a cooler on the plane. The fresh salmon fillets here looked amazing. Whole salmon if you’d prefer to filet your own. Hauling boxes of crabs on the plane seems even crazier than packing fresh fish, but apparently people do it all the time. 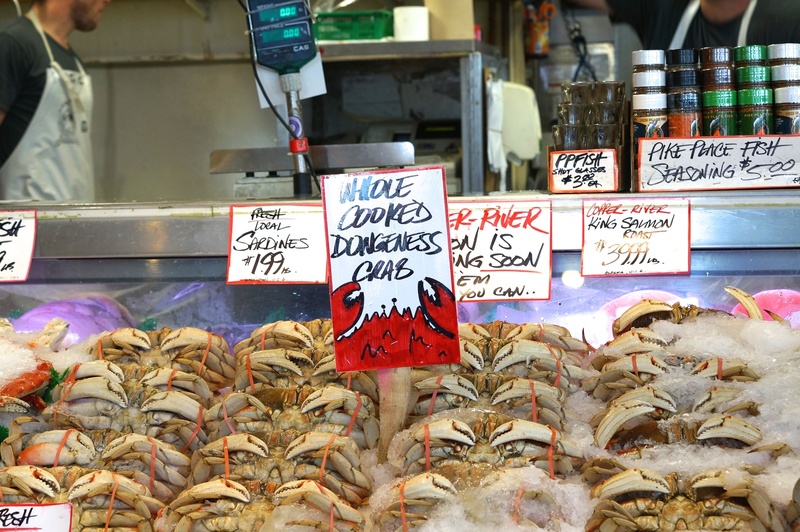 As an East coaster I have ready access to Maryland crabs, but my favorite crabs are Dungeness, native to the Pacific Northwest. I also love King Alaskan crab legs, mostly because they are easy to eat with a high meat to shell ratio. 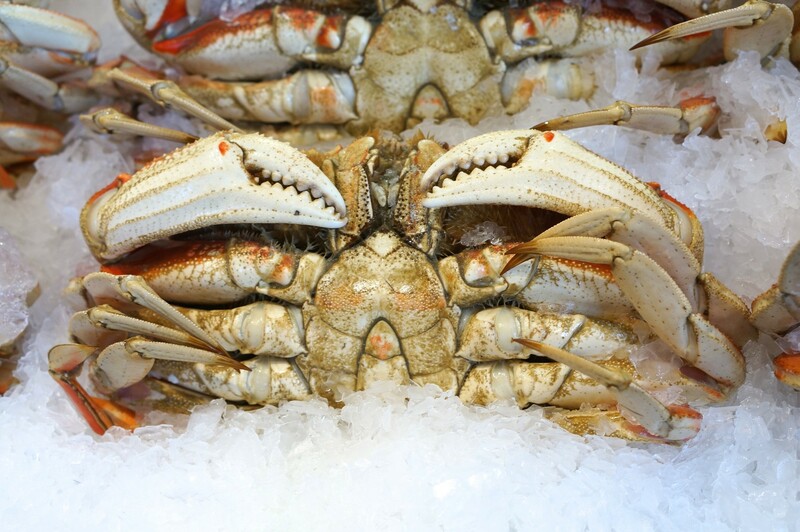 Sweet whole dungeness crabs, ready to be cracked and eaten. I could probably eat a few pounds of Alaskan crab legs all by myself. Washington is one of the three top cherry producing states in the US. While other states excel in tart, Washington cherries are deliciously sweet. 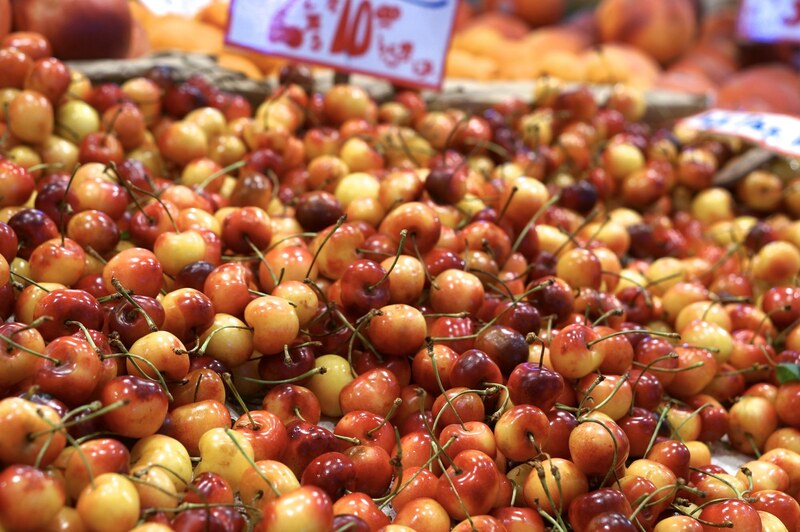 Look for bing and dark sweet cherries, two popular Washington varieties. I was lucky to visit Washington during cherry season (generally June-August) but if you miss the season, you can still pick up local dried, jarred and chocolate covered versions. 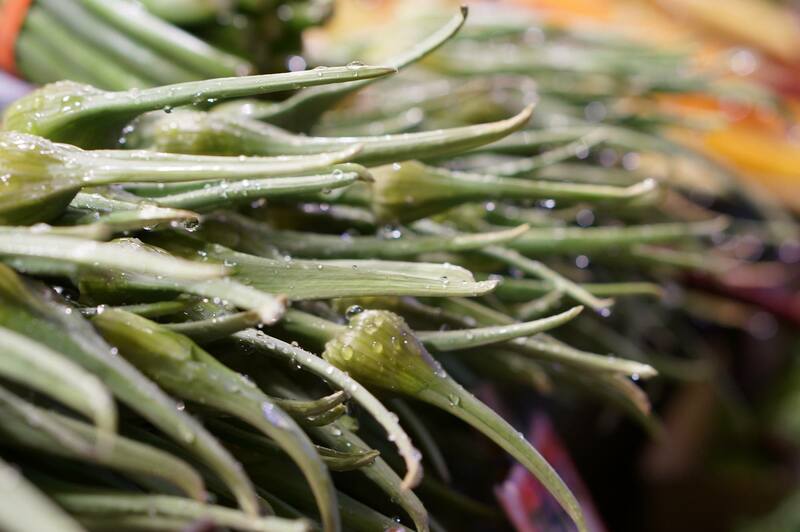 Perfect for adding to salads, oatmeal or granola. 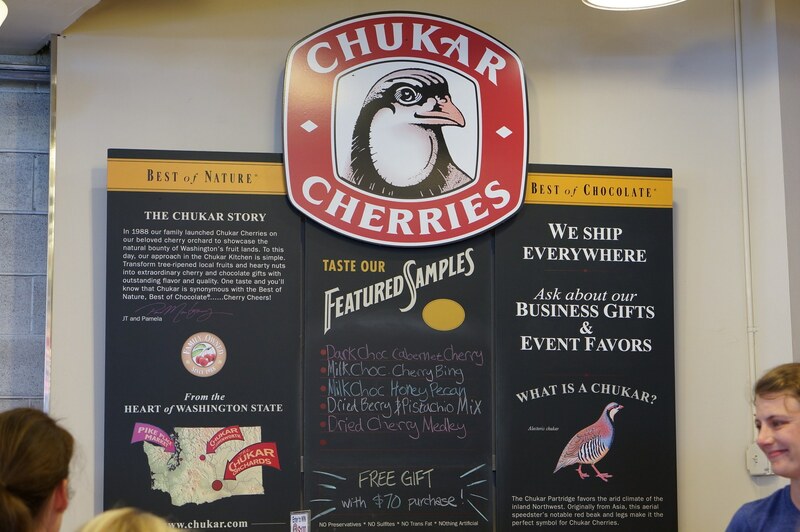 Look for the unmissable Chukar cherry sign in Pike Place market. 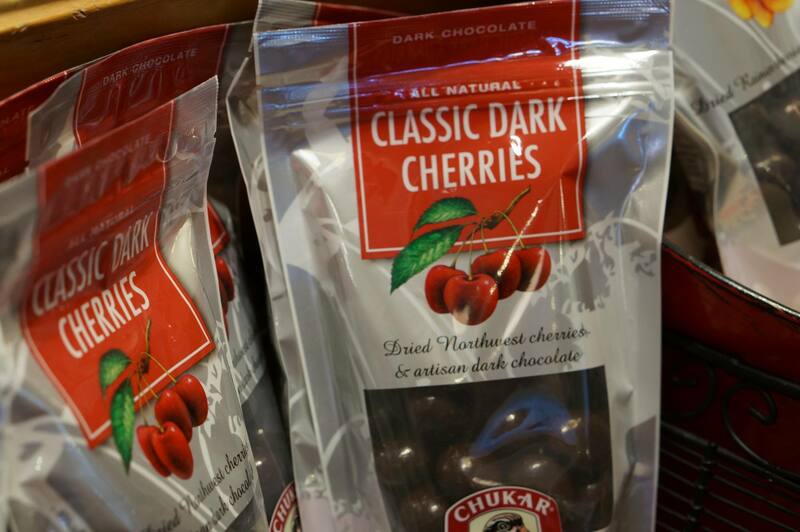 The chocolate covered cherries (available in both milk and dark chocolate) are to die for. Look for this sign to sample chocolate covered cherries and more. These classic dark chocolate covered cherries are my personal crack. I can’t stop eating them until the entire bag is gone. Whoops. 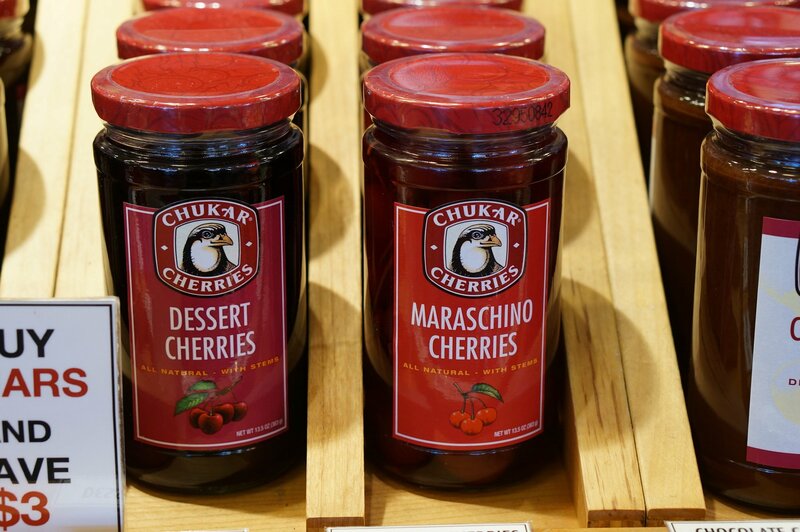 Jarred cherries are infinitely better tasting than the chemically flavored supermarket version. The Washington apple commission claims its apples are the finest in the world, as Washington has the ideal climate and growing conditions. 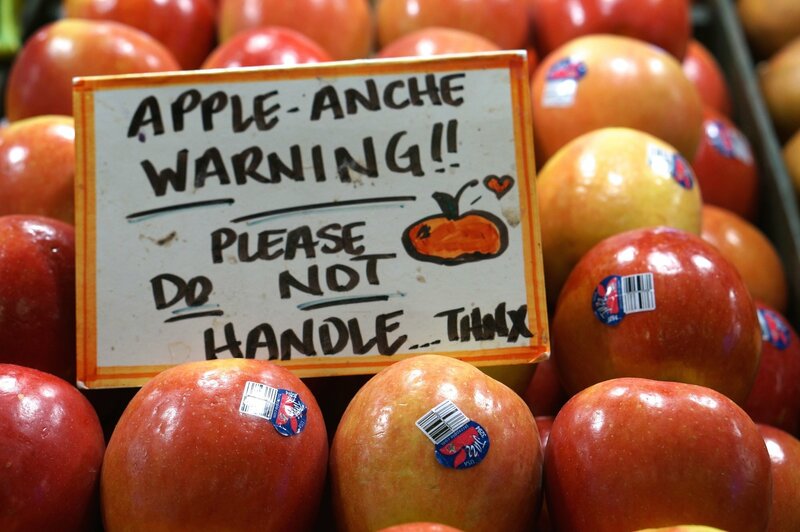 In any case, Washington is the top apple producing state in the US and much of what I see at my local supermarket comes from Washington state. While you’ll find all of the usual apple varieties here, it’s fun sampling new varieties that aren’t as widely distributed. I’m just throwing this one in there because the vegetable selection looked so amazing. I have no idea what is local or unique to Washington, but the produce somehow looks so much better than anything near me. I’m not so sure if these are really a souvenir as they are best eaten hot and immediately. But you can’t really pass by this stand without picking up a little bag. 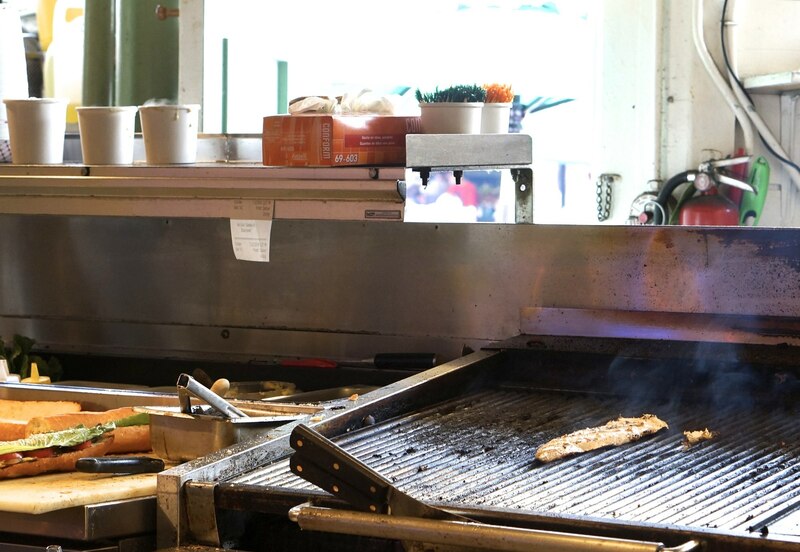 There are so many places to eat at Pike’s Place and I’ll admit I did no research, but I stopped into Market Gril and had a delicious freshly grilled fish sandwich (I asked for local catch of the day). 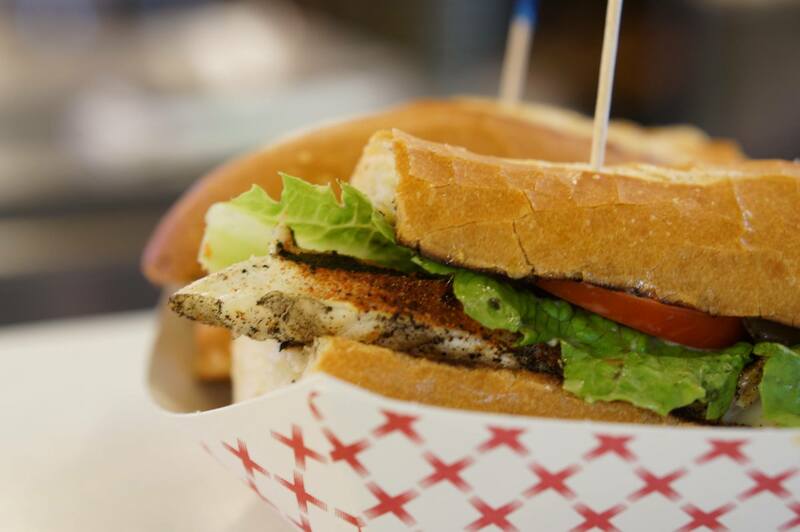 A perfect snack while browsing the market– a freshly grilled fish sandwich featuring the catch of the day. 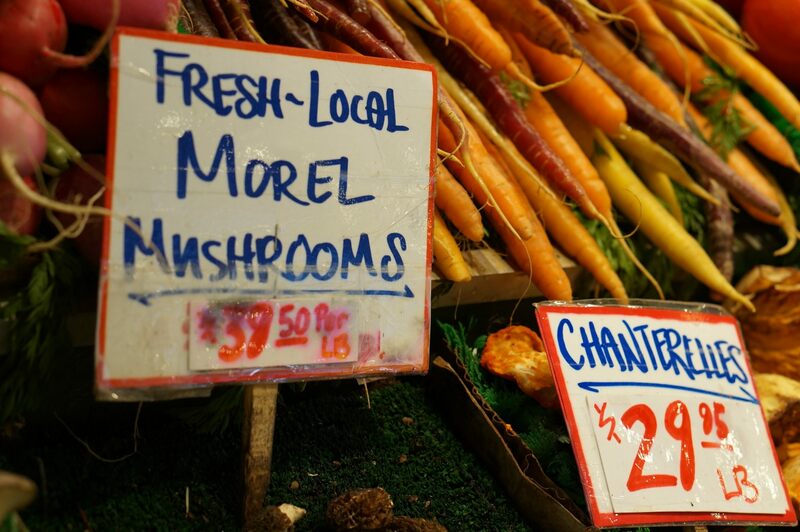 Have you been to Pike Place market in Seattle? What are your favorite take home souvenirs?